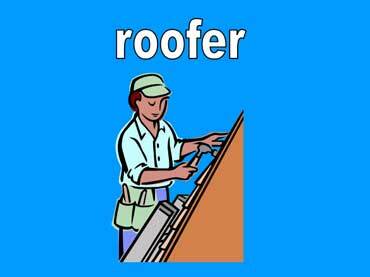 Roofers repair leaks in roofs. This roofer is on the roof of a house. She is standing on a ladder. 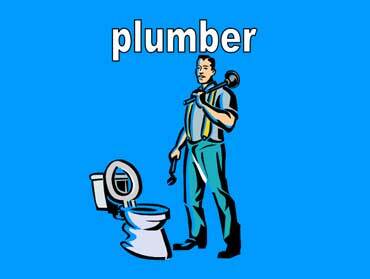 This plumber is fixing a stopped up toilet. He is holding a plunger. 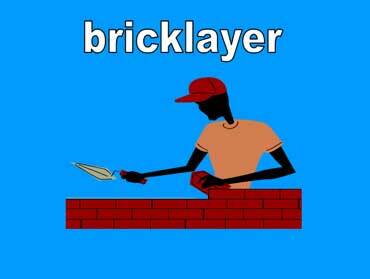 Bricklayers build houses, apartments, fences, and fireplaces with bricks. This bricklayer is building a fence.